The Democratic Republic of the Congo announced Thursday the launch of Ebola vaccinations for high-risk populations in North Kivu province. A total of 3,220 doses of the rVSV-ZEBOV Ebola vaccine are currently available in the country, while supplementary doses have been requested. While the vaccine goes through the licensing process, an agreement between Gavi, the Vaccine Alliance and Merck, the developer of the vaccine, ensures that additional investigational doses of the vaccine are available. WHO has provided logistical support for the establishment of the cold chain and sent supplies needed for the vaccinations, in addition to supporting the negotiation of protocols with the manufacturer and national authorities, and supporting the deployment of vaccination experts from Guinea to work alongside national staff, who began the vaccination. 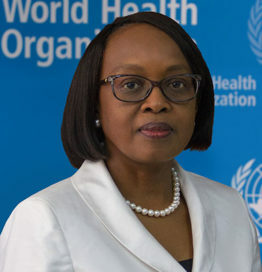 “We are proud of the regional solidarity demonstrated by the vaccination efforts, and confident that the strong capacity of the African region will once again be demonstrated during the response to this outbreak,” said Dr Matshidiso Moeti, WHO Regional Director for Africa.